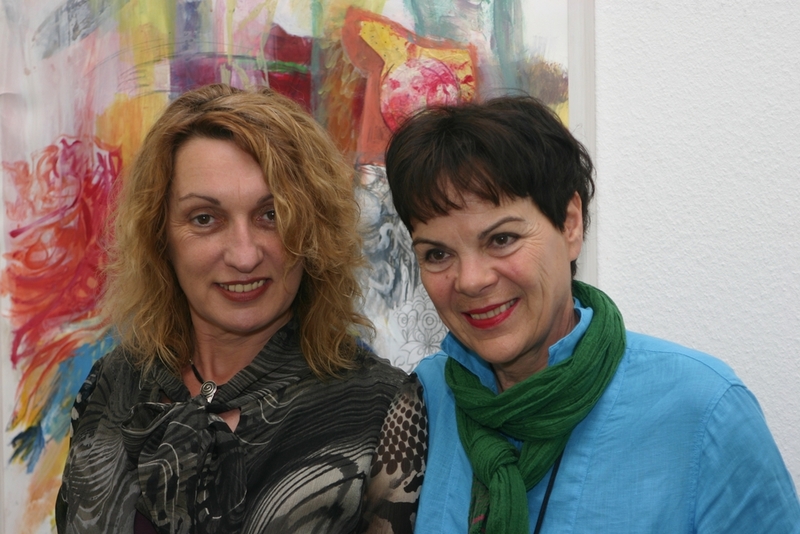 The project “Different” aimed to provoke “the equality in diversity“ thinking through the monochrome paintings of local Switzerland artist Pia Shleappi and the multi-coloured works of Ivilina Kouneva through interpreting myths and beliefs from their native countries. It followed their initial meeting during the ‘Art near the Border’ workshop in Surnino village, Bulgaria. 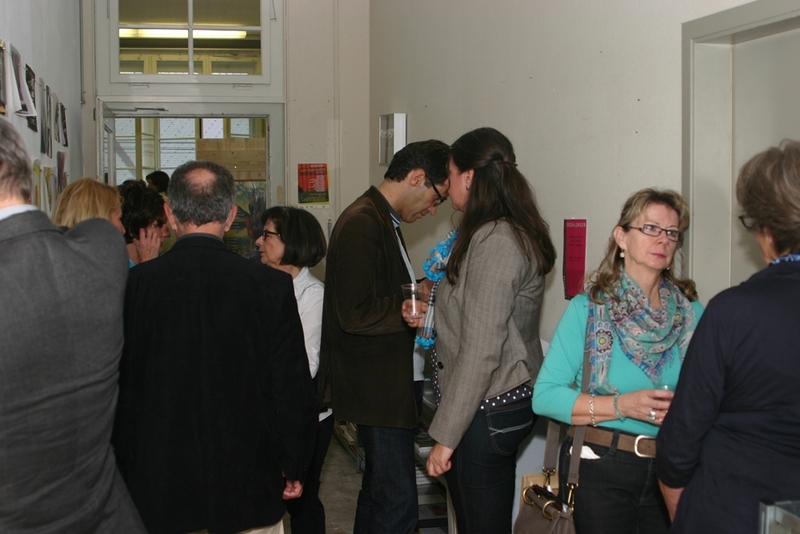 This three weeks’ project in Thun was celebrated with an exhibition. 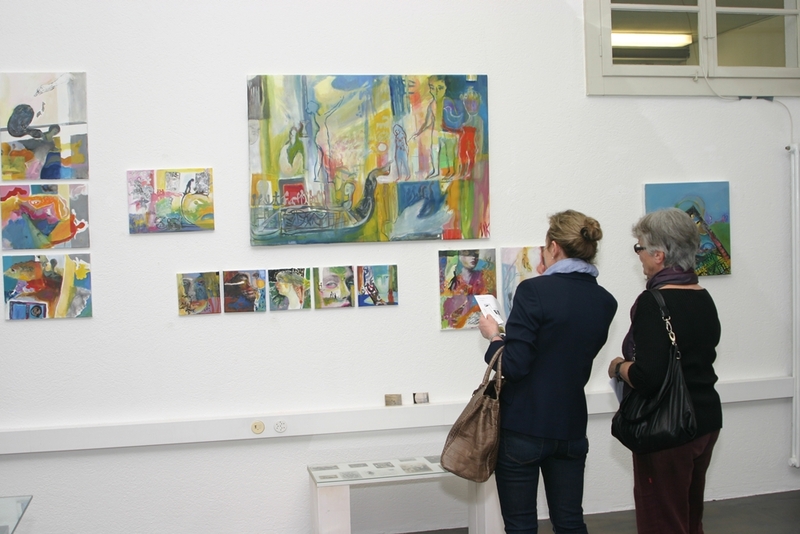 My installation of different sized mixed media paintings and old photographs from my family archive at galerie art-house, Thun, Switzerland, aims to represent 3 layers of life – past, present and future. On another level, it commemorates the people and events that used to be part of our lives and the new journeys we have to undertake in order to build our own myth and to choose our own path through life. The images of flying angels represent the good will and fortune. They also come like messengers of light and new things to happen. The experience from the past and the powerful influence of the myths of our peoples were about to appear a year later in my first solo exhibition in the UK – Faces Places Spaces.